The Annual “Lost Treasure Weekend” hunt, at The Blackthorne Resort in the Catskills was held June 15th through 17th, 2018. Last year my review of this event wasn’t too positive, however, this year’s review is much more favorable because this year I had a better idea of what to expect, and I also felt the event had actually improved. If you don’t subscribe to American Digger Magazine, then you missed the article I wrote titled “A Detectorist’s Dilemma” which was published in the Nov/Dec 2017 issue. So now that my ethical obligations to the magazine have been met, and the issue has run its course–well mostly, because we all know that American Digger NEVER get’s thrown away, feel free to click on the link below to read the online version. 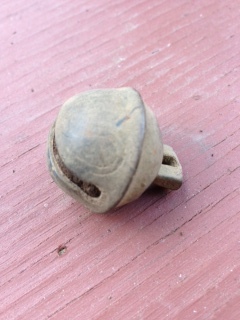 Oh, and because everyone asks me the same question, yes, that really was my patio full of finds in the photo. Click here to read “A Detectorist’s Dilemma” . So I’m thinking what to write about for my next post, and annoyed because I had a list of topics in my head, but forgot them. I do this a lot, and a friend told me a few days ago that I should write it all down. “Yeah, I will” was my response… and I didn’t. So… this post will be about my cool Miniature Schnauzer, “Abby”. Abby is sleeping right now, she does that a lot, in between being lovable and adorable. She gets very excited when she sees me get my detector out, because sometimes I take her with me. I like to pretend she likes detecting, but deep down I know she just really likes to be outside. Smashing Pumpkins: A Coin Bonanza in the Pumpkin Patch! A good friend and detecting buddy of mine, JoJo, was kind enough to share the story of his most epic detecting day ever. Thank you for sharing JoJo. Wow—I’ve heard said before that “you can’t top your best times”, but that really doesn’t make a lot of sense, because there are always more “best times” that come along, so I guess in essence that statement is really kind of silly. I’ve been approached by many people complimenting me on my blog, and what I hear most often is “more hunt stories please, more hunt stories“. I’m always surprised and flattered by this, because if you log onto social media these days, you’d likely be convinced that all people care about is seeing photos of finds or links to YouTube videos. 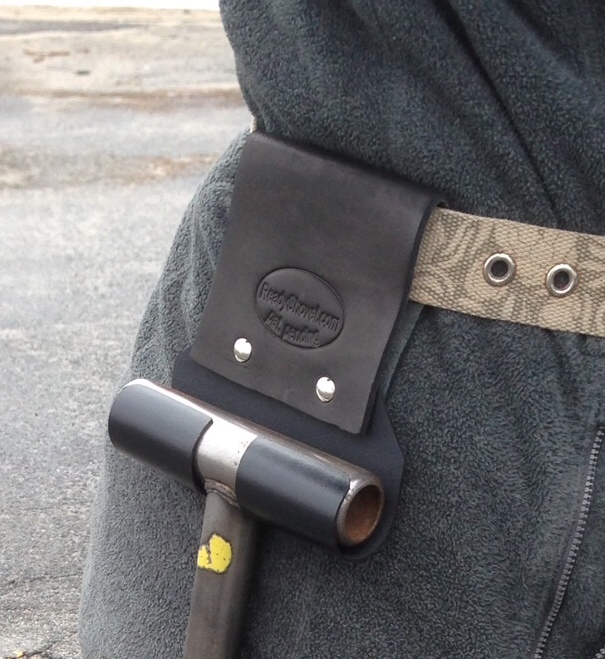 **THIS CONTEST HAS ENDED** I’ve been singing the praises over my handy new digging pal the “Ready Shovel” (a belt carrier for a T-handle or D-handle shovel), all the while paying close attention to how I use it in the field. If you live in the Northeast, you may have been faced with the frustration of trying to locate a metal detector dealer where you can physically purchase detectors and equipment, and that is not just an online website. Wouldn’t it be great to actually shop in a store who’s business is metal detectors? One that is actually open when you get there, and is not just a corner display in a hobby shop? Well in case you didn’t know, there is such a shop—The Gold Digger Metal Detectors, in Raritan, NJ. If you’re looking to purchase a machine from someone with hands on experience, The Gold Digger is the place. The owner, Ron DeGhetto, has been detecting for over 35 years and has experience with all major brands of detectors. His knowledge is helpful to both the beginner and seasoned detectorist, and honestly, wouldn’t you rather buy a machine from someone who is knowledgeable about the products he is selling? The new Gold Digger store is impressive! Machines line the walls, along with everything else a detectorist might need. And of course, behind the counter, there’s Ron, a man with the patience of a Saint, and a friendly, helpful demeanor to match. You can get your questions answered and the machines explained and demonstrated right in front of you—so much more personal than a picture and description on a website! Ron keeps up with the latest technology and stays informed on what’s going on in the detecting community. He’s an active member in local metal detecting clubs, a board member of The Task Force for Metal Detecting Rights, and was among the first in the world to be awarded a certificate in Electronic Archaeology, being personally invited to Montpelier for training. In addition, he has hosted Minelabs “Go Minelabbing” beach hunt in New Jersey for the past two years, and is currently going on year three. If you don’t live in the area, you can always purchase items on their website at www.golddiggermetaldetectors.com. If you don’t see something you’re looking for online, give them a call—they are very accommodating, and it just might be available for shipping to you. And as Ron says “…Chances are, if we don’t have it, you don’t need it”! I also want to mention that Gold Digger is the authorized US distributor for the high performance NEL Coils everyone has been talking about. You can check out the NEL Facebook page at https://www.facebook.com/groups/NELCoilsUSA/. Authorized Dealer: Detector Pro, Garrett, Fisher, Minelab, Teknetics, Tesoro and White’s metal detectors. Services: Walk-in store front; E-bay store; website sales; Professional repair service straight from the manufacturer; ships throughout the US. My better half and I were short on time yet wanted to do a few hours of detecting without traveling far from home. This posed a dilemma, as there is hardly a wooded area or decent park in my city. We decided to wing it, and headed toward a nearby town, hoping to find a spot along the way. Ten minutes into our drive, we were passing an area we knew had been hunted by almost every detectorist around. I never like to say a place is hunted out, but when I think of this site, that’s exactly what comes to mind.